Self¬taped auditions are in high demand from productions and actors are increasingly expected to effectively present themselves on short notice. In this workshop, actors learn to hone self¬ tape skills with feedback from international casting director Nancy Bishop. Actors will prepare a pre assigned self taped audition for feedback . Actors should bring headshots for feedback as well. Donna Morong will instead focus on auditioning for the camera. Actors will be given material ahead of time to prepare for a taped audition in class. You will be asked to take adjustments and the entire class will watch playbacks and receive a critique of your reading. Actors will learn what is expected and required in the audition room in LA, as well as what not to do. Material will be drawn from recents films and TV pilots. Learn the craft of auditioning, it’s similarities and differences from working onset, in order to maximize your ability to get cast in projects originating from LA. In addition, Nancy and Donna will present a short informational session about working internationally followed by a Q&A. NANCY BISHOP , CSA, is an American casting director with offices in London and Prague. She has cast supporting talent on nearly one hundred projects such as Mission Impossible IV, Bourne Identity and Snowpiercer. She recently finished work on Blood Drive, a TV series for Sci¬Fy. Nancy was nominated for an Emmy Award and is an internationally recognized acting coach. She founded the Acting for Film Program at the Prague Film School, and penned two books, the second of which “Auditioning for Film and TV,” will be available to all members of the class at a special discount price. 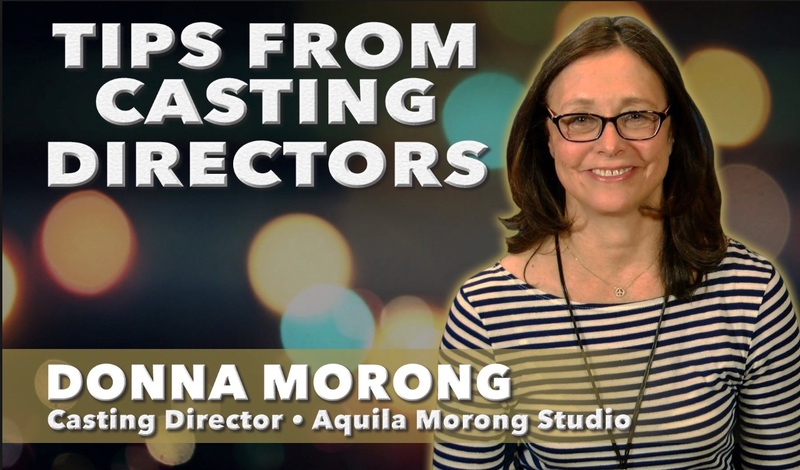 DONNA MORONG is a respected Hollywood casting director . She spent 15 years at The Walt Disney Company ultimately becoming Senior Vice President of Motion Picture Casting in the feature film division.She won an Artios Award for casting Ben Affleck’s “GONE BABY GONE”.Her ability to spot talent helped launch many successful careers including Heath Ledger, Jennifer Garner, Chris Pine, Rachel McAdams, Anne Hathaway, and Joseph Gordon Levitt.After the career at the Walt Disney Company, Ms. Morong decided to launch her own casting company where she has been working on independent and studio films in Europe and the U.S.
Nancy and Donna are both CSA members. This mean that actors understand that Nancy Bishop and Donna Morong follow CSA guidelines for teaching. This class is exclusively instructional in nature and acceptance of actor attendance does not imply in any manner or circumstance any professional reciprocity, either now or in the future, nor will acceptance of attendance influence an actor’s ability to secure a future audition for projects that they may be undertaking. No headshots will be collected at the class.